Wow. Gorgeous. I’ve never seen this coloring before. Oh, those are pretty sharp. They are a rare cut flower here. 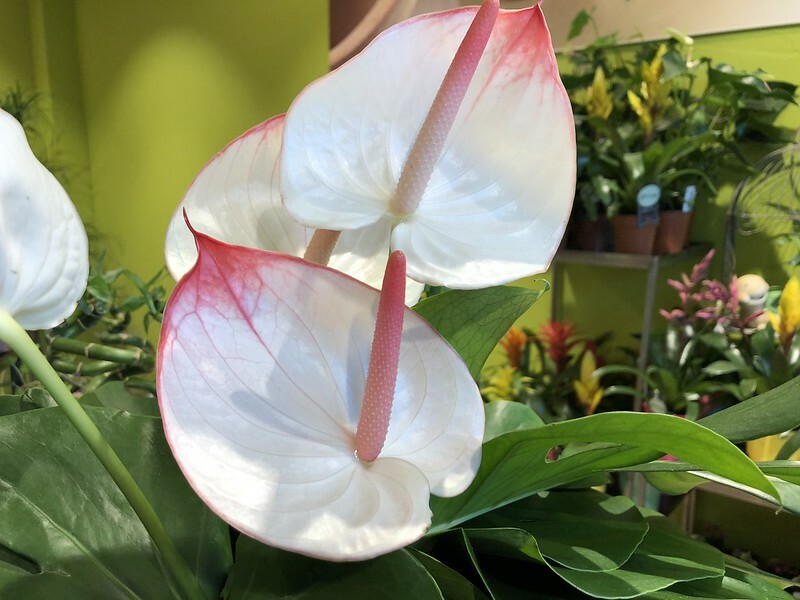 Most that are grown as house plants bloom only white.